Chris Prentiss is an internationally recognized author and speaker focusing on addiction, love, Chinese philosophy, self development and spiritual growth. Over the past several decades, Prentiss has written 15 books, created audio and video programs, and has appeared on many television and radio shows. Praised by the worldwide media for his “brilliant,” “insightful,” “thought-provoking,” and “enthusiastic” writing, Prentiss is known for his interpretations of the I Ching that make this ancient, and sometimes difficult-to-understand, subject easy to use and apply. 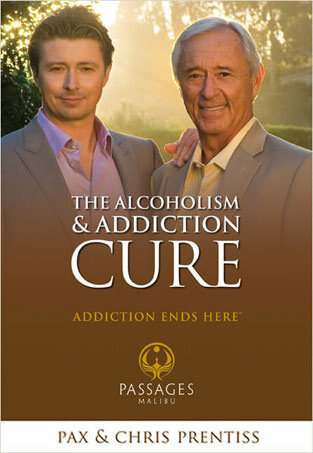 As Co-Founder of Passages Addiction Treatment Centers, Prentiss co-authored the top-selling "The Alcoholism & Addiction Cure" with his son, Pax. This groundbreaking book tells the harrowing story of Pax's addiction to heroin, cocaine, and alcohol, and contains the breakthrough holistic program to total recovery that is the backbone of Passages' success. In September, 2015, Pax celebrated 15 years of sobriety. 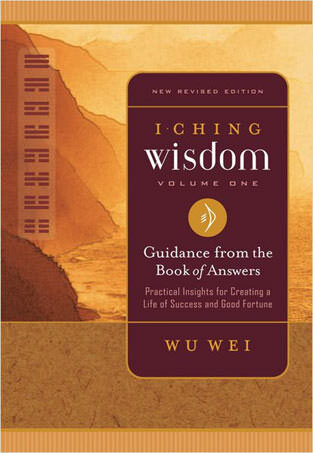 Under the pen name Wu Wei, Prentiss has also written several books on Chinese philosophy, including "A Tale of the I Ching: How the Book of Changes Began," "I Ching Life: Becoming Your Authentic Self," "The I Ching: The Book of Answers," "I Ching Readings: Interpreting the Answers," "I Ching Wisdom: More Guidance from the Book of Answers," and "I Ching Wisdom: Guidance from the Book of Answers, Volume One." Prior to the opening of Passages Malibu in 2001, Prentiss led personal empowerment workshops in Southern California and has written, produced, and directed a feature film, Goin’ Home. He has held a real estate broker’s license for approximately 50 years, and has invested in real estate most of his life. Chris Prentiss and his wife, Lyn reside in Florida. They have a deep interest in holistic healing and helping those in need. To purchase Chris Prentiss' books, please visit the Passages Wellness Store. If you are battling an addiction to drugs or alcohol, call Passages now. (888) 991-2219. Insurance is accepted. After suffering through ten long heart-breaking years of his son's addiction to heroin, cocaine and alcohol, and many failed attempts at recovery, Chris Prentiss needed a solution. Together, he and his son Pax created a program that saved Pax's life and is saving people's lives every day at the Passages Addiction Treatment Centers in Malibu and Ventura, California. The Alcoholism & Addiction Cure contains the breakthrough three-step holistic program to total recovery that is the foundation of the phenomenal success of Passages. Since it opened in 2001, Passages has had a very high success rate for helping clients permanently recover from all forms of dependency. Now, with this book, you can find freedom and relief from alcoholism and addiction at home. Being happy is one of the most important aspects of staying sober. If you are not happy, there is a possibility that you will return to using drugs and alcohol again. A “dry drunk” is someone who is sober but unhappy; who still demonstrates alcoholic behavior. They have to white-knuckle it through sobriety. Day in and day out, they fight to stay sober because they are not happy. Sobriety should not be a fight. It should be as easy as breathing. If you don’t want to keep white-knuckling it through another day, this is the book for you. 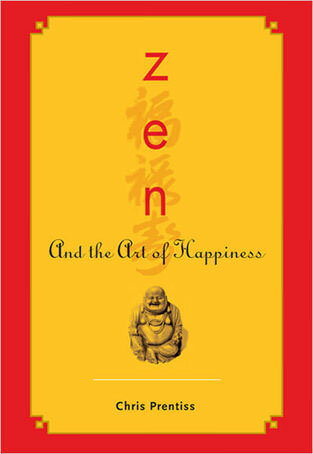 Zen and the Art of Happiness is the ultimate anti-depressant. Recovered people who have read this book say that it is the second best thing they have ever done for themselves. The first was to read The Alcoholism & Addiction Cure. "A charming book… Shows readers, with humor and zest, how to live in the now and change our futures. For most collections." From the author of the popular Zen and the Art of Happiness and The Alcoholism & Addiction Cure, this proven program for change delivers a sure-fire system for letting go of limited ways of thinking, learning how to create the best possible outcome in every situation, and breaking through to real happiness. Achieving sobriety is not enough. By reading this book and following the exercises, you will become the person you have always wanted to be and learn how to achieve your life-long dreams and goals. 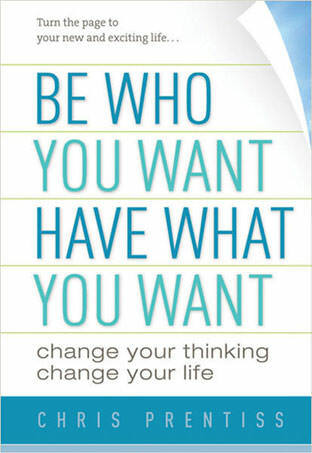 If you want to take a giant step forward in the development of yourself, this is the book for you. Your new life is waiting for you – step into it. Prentiss combines compelling storytelling and empowering truths with targeted action steps to help you build a loving, long-lasting relationship. You'll learn important keys such as how to provide Safe Space, who is attracted to you and why, the purpose behind your partnership, the power of your beliefs, how to heal unhealthy patterns from the past that affect you and your partner today, and how to save a troubled relationship or decide if you should move on. 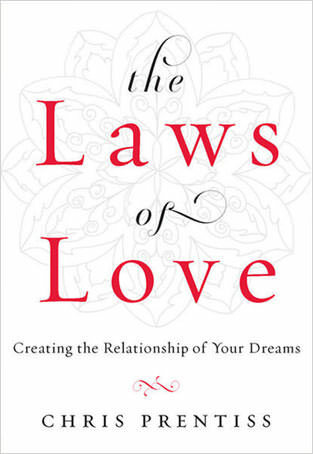 Even in the most challenging of times that come to us all, The Laws of Love will give you the tools you need to sustain a rewarding relationship--one where great joy is experienced, great deeds are accomplished, and, most importantly, great love is returned. 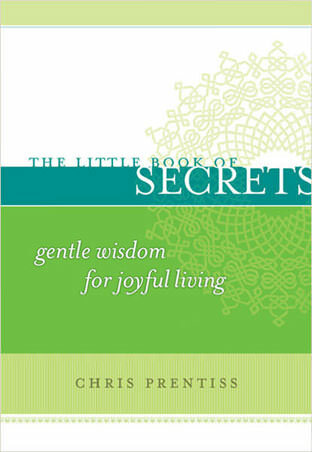 The Little Book of Secrets: Gentle Wisdom for Joyful Living is a marvelous collection of timeless secrets distilled from the writings of the world's great sages. Each secret reveals a principle that has stood the test of centuries. After each of the 81 sayings in this delightful little book, Chris Prentiss added his enlightened comments to help readers apply the simple and practical wisdom to their contemporary lives. Prentiss spent 40 years searching the world for these rare secrets that have brought people true success, prosperity and soul-drenching happiness. His search took him to many lands and he studied the world's most ancient writings. This profound collection of secrets is the result of his quest. A beautifully designed book small enough to fit into every backpack, pocketbook and briefcase, it will become a well-loved friend and trusted companion as you travel through the twists and turns of your life's journey. A meaningful gift for any occasion. The I Ching is a book of answers that miraculously guides us to success in every possible situation. 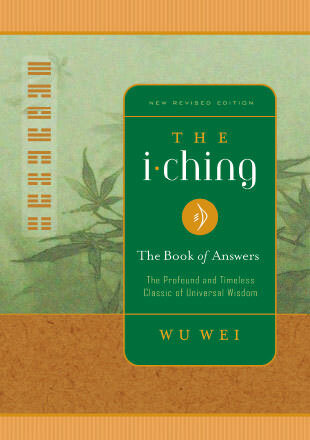 This revised and expanded edition of Wu Wei's well-loved version of The I Ching: The Book of Answers is unparalleled in its clarity, making this the easiest-to-grasp I Ching ever published. Wu Wei's insightful interpretations of the I Ching's sixty-four hexagrams provide perfectly clear, unambiguous direction while remaining completely true to the ancient writings. You will know exactly what action to take to avoid misfortune and achieve success. This edition of The I Ching: The Book of Answers contains the entire text of Wu Wei’s easy-to-use version of the I Ching plus 100 workbook pages to record your answers. Learn how to work with the I Ching to receive guidance in every area of your life. In this invaluable companion guide to the universal wisdom and guidance of the I Ching, Wu Wei extracted the I Ching's deepest wisdom in the form of simple yet profound sayings that the greatest Chinese sages preserved for thousands of years because of their inestimable worth. To these sayings, Wu Wei has added his enlightened comments to help us apply the empowering and practical wisdom of the I Ching to obtain the wonderful gifts we all seek: prosperity, peace, love, and happiness. Each saying is accompanied by a delightful Chinese ink drawing done in the Zen style by Wu Wei. Chris Prentiss is an internationally recognized author of 15 books including The Alcoholism & Addiction Cure, Be What You Want, Have What You Want, and Zen and the Art of Happiness. He is also the Co-Founder and Co-Director of Passages Addiction Treatment Centers. Chris and his wife, Lyn are equestrians who reside in Florida and have a deep interest in holistic healing and helping those in need. Connect with Chris Prentiss on social media via the links below.